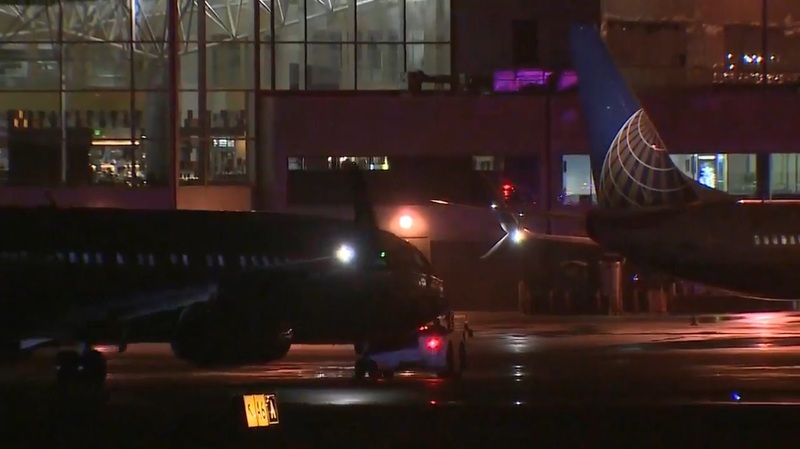 PORTLAND, Ore. – A United Airlines flight landed at the Portland International Airport Sunday night after popping a tire on takeoff from New Jersey, Port of Portland officials said. The airplane, Flight 1551 from Newark Liberty International Airport, landed at PDX just before 10:30 p.m. There were no reports of injuries, a United Airlines spokesperson said. Port officials said they learned the plane blew at least one of its tires on takeoff. Emergency responders were standing by on the air strip to assist with the landing, if needed. After landing, the aircraft was towed to a gate. A spokesperson said the emergency response did not impact any of the other regularly-scheduled flights into the airport. No word from officials on how many passengers are on-board. Passengers aboard the flight say the flight was full. Mateo Agemo was one of the passengers. He says once the plane landed, he the back of the plane didn't feel stable. He said the passengers were told at the beginning of the flight there may be a problem with the wheel, but there was a slim chance of something happening upon landing. Worst case scenario, Agemo says the crew told passengers in the back would have to move to the front of the plane if something were to happen. "I was in the back so I was a little bit nervous but everyone on the plane was nervous. The staff made everyone quiet and relaxed," said Agemo. "It was scary when we took off, the whole plane shook and then about 90 minutes before we landed, the crew got us together, took us through how to brace, moved some elderly people around in case they needed help, and moved some luggage around, and then we came home," said Kyle Hobbs, another passenger onboard. 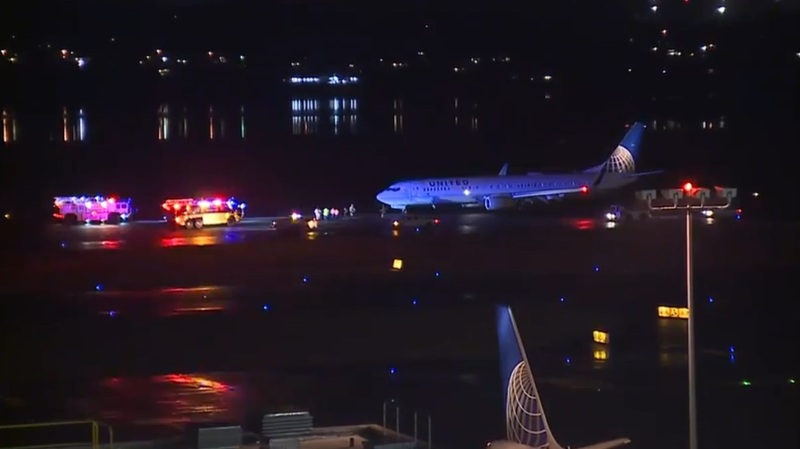 PORTLAND, Ore. (KOIN) -- A United flight that popped a tire upon takeoff from Newark, New Jersey landed safely at Portland International Airport on Sunday night. 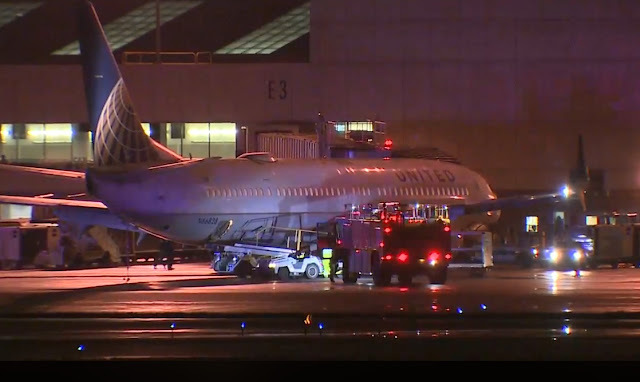 United flight 1551 landed just before 10:30 p.m. Fire, police and emergency crews were on scene awaiting the flight's landing, which was shaky, but there were no sparks or smoke. Passengers on board tell KOIN 6 News that they felt something pop during takeoff. "So, when we were taking off out of Newark, the plane kind of shuddered as the nose lifted. After that, everything was fine. About 90 minutes before we landed, the crew came out, made sure everyone was awake. Told us we were going to have a problem with the landing gear and to prepare for the worst," Kyle Hobbs says. The flight crew went over how to properly brace themselves and had four passengers move seats so they could help with an emergency slide, if necessary. "We received word of an aircraft inbound reporting an issue and we had crews standing by to assist," PDX spokesperson Kama Simonds says. Luckily, that wasn't necessary, and all passengers and crews made it off safe.